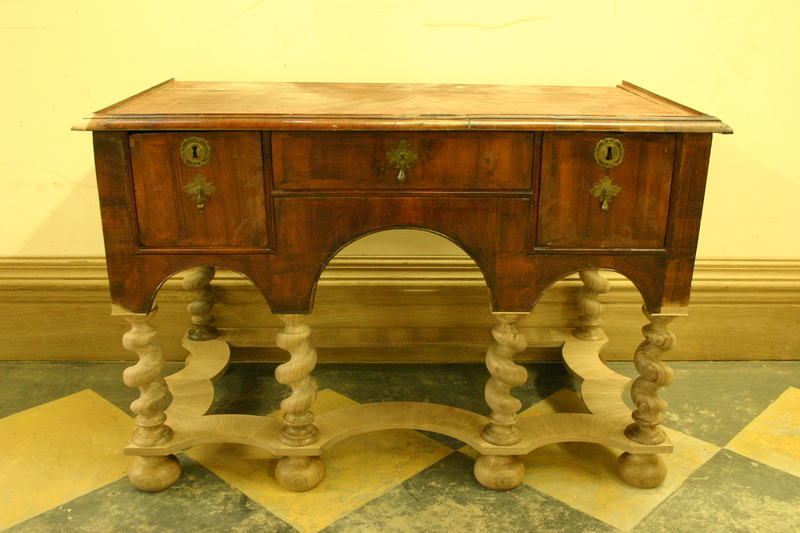 Whether you are looking to restore an antique piece of furniture in need of repair, reproduce a chair or table of your dreams, or create an entirely bespoke piece of furniture. 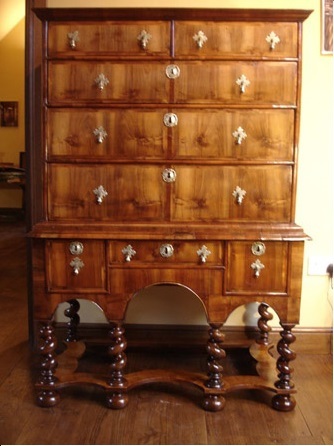 With years of furniture making and restoration experience, I can design and make furniture to meet your exact requirements, either fitted seamlessly in your home or free standing. If you wish to bring to life a piece of furniture or project that you have in mind, please contact me for a free quote. The following examples illustrate just a few of the wide range of projects I have so far undertaken and the fine workmanship that is achieved. For more examples take a look at my portfolio. 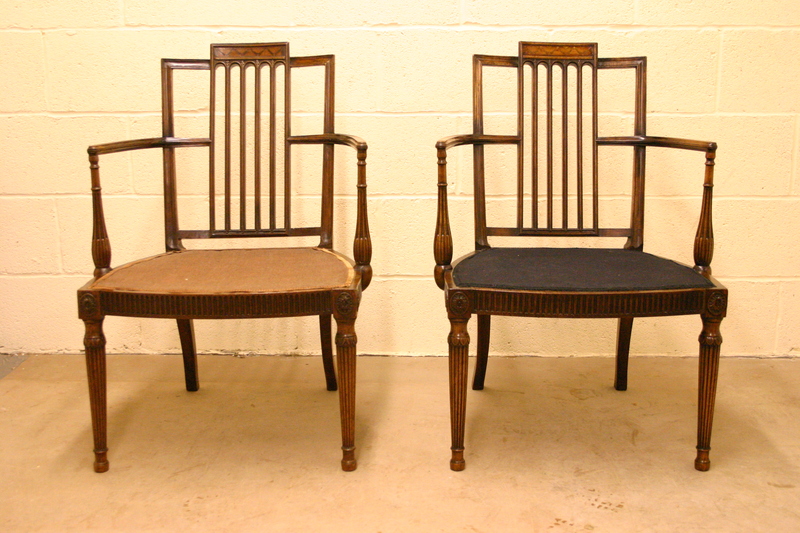 With an inlayed crest rail and intricate carving this chair has been one of the most rewarding reproductions I have undertaken to date (original on left). 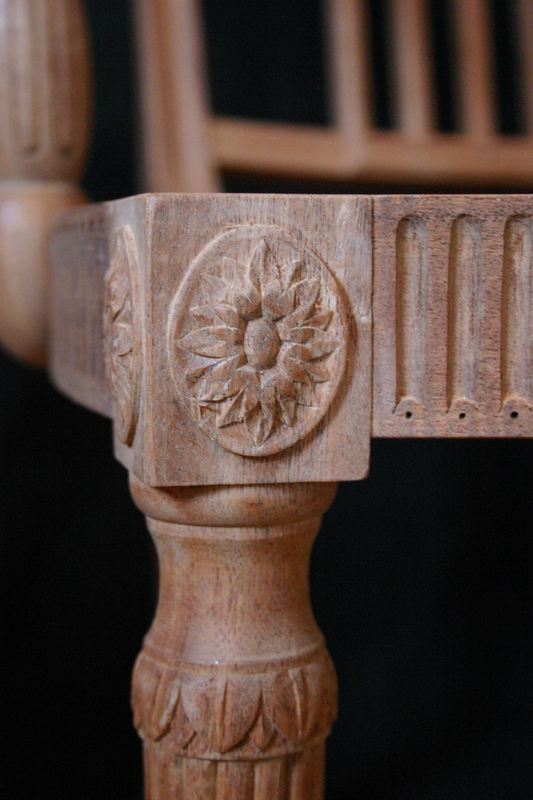 Detail of carved leg and rail. 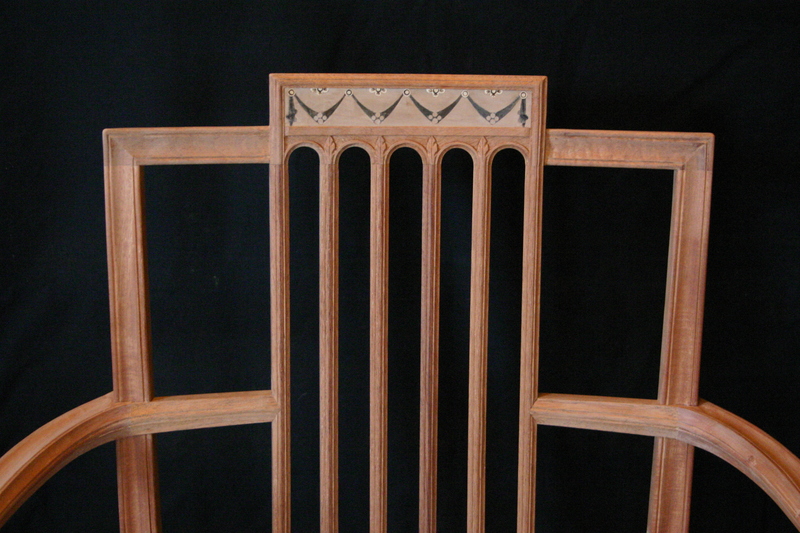 Detail of crest rail with pear wood and walnut inlayed swags. 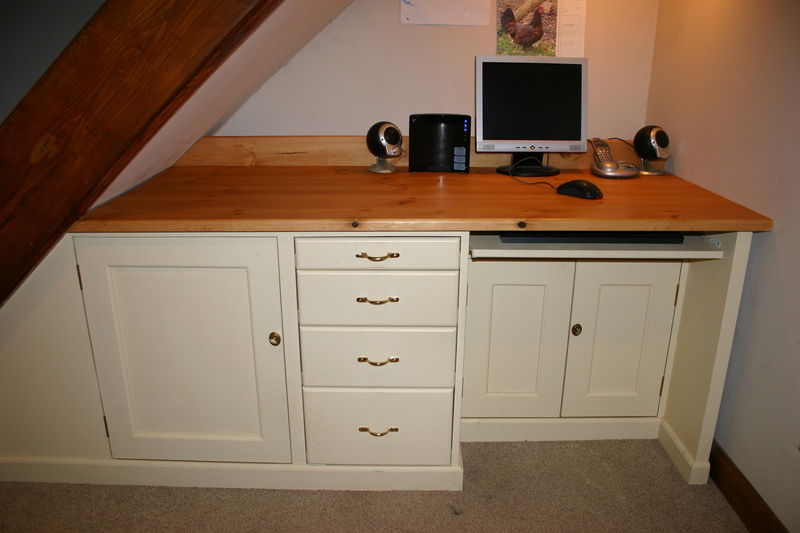 A painted MDF desk, cupboards and draws with pine top and upstand to fit under stairs. A simple, functional design made to the customers specifications and budget. 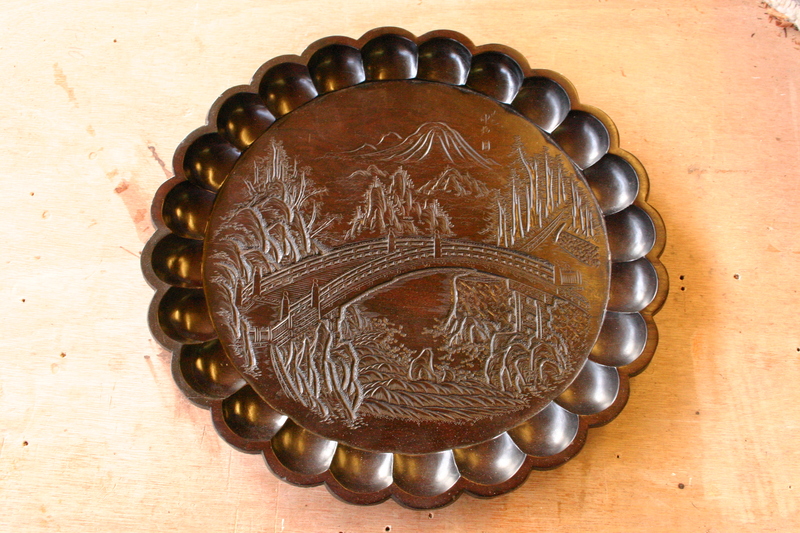 A 19th century carved platter with damage to rim requiring patching, carving and colouring to match. Time had taken its toll on this piece of furniture. Having had its legs removed probably due to wood worm and breakages, I restored the main carcase and drawers before finally adding barley twist legs and cross banded stretchers. 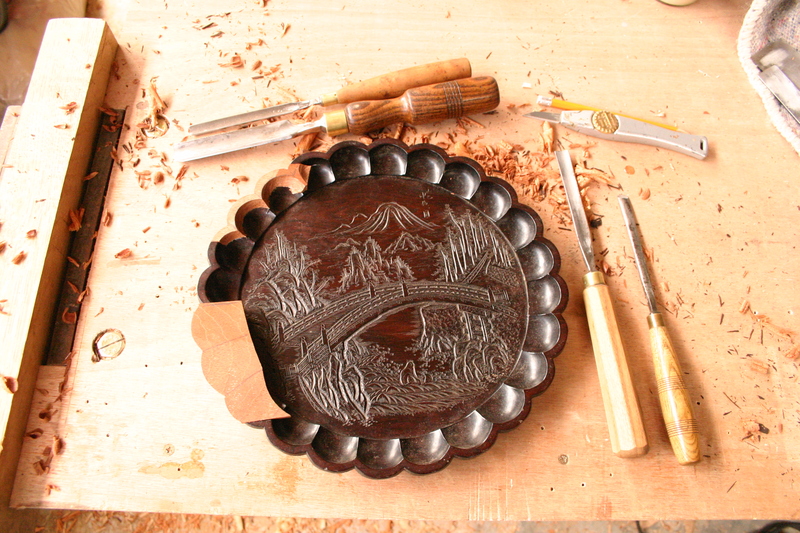 For more examples of my work please take a look at the portfolio.